“What doesn’t kill you, only makes you stronger.” The popular phrase has an element of truth and wisdom to it. We have all seen and experienced this in our own lives in some ways (whether great or small). Psychological research has, in the last several decades, built off of this common cultural wisdom to provide it with more substance. But benefit finding, as it is sometimes called, is distinctly different from a Christian theology of redemptive suffering. The latter provides a more robust framework for enduring trials. Positive Psychology, that theory of psychology which focuses on the subject of happiness and human flourishing, has argued that there are positive benefits that may arise out of difficulty, and that by focusing on such positive benefits individuals can adapt to their troubling circumstances. 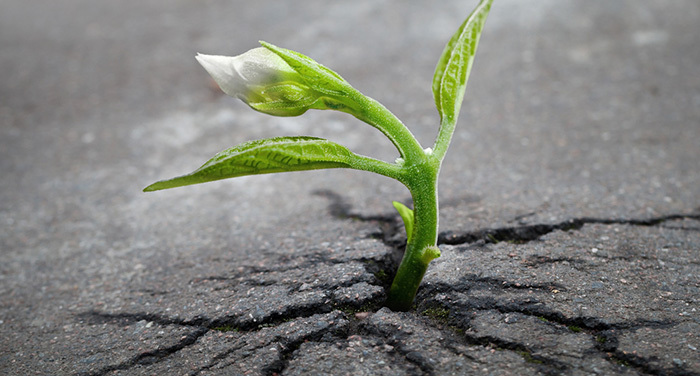 So, psychologist may talk about post-traumatic growth, or resilience as examples of benefit finding. There is truth to be realized and appreciated in these psychological theories, and there is some interesting empirical research that lends support to their validity (see Tedeschi and Calhoun, 2004). Evolutionary psychology adds its voice to benefit finding, suggesting that some psychological disorders may have elements designed to maintain or advance human survival. So, some psychologists may speak of the “usefulness of depression” (see Andrews and Thompson, 2009). Depression, these psychologists suggest, invite community. When we suffer then loved-ones surround us to care for us and to help us. There are trials that may produce benefit in our lives. The Bible acknowledges the value and contribution of suffering. Trials shape us to be more like Christ. They are a means of spiritual pruning (John 15:2-6), or refinement (1 Peter 1:7). We grow through difficulty. And yet, benefit finding, as true as it is, is far too shallow. The Christian theology of redemptive suffering gives a more robust approach to enduring suffering. The trouble with a simplistic view of suffering is that it leaves us without any ultimate goal. The reality of suffering, of character building, of benefit finding is that there is always more to do. There is no ultimate goal, no telos. If I don’t have an end goal, I never feel closer to realization of that goal, and life is facing one trial after another hoping to grow through each, and then I die. Furthermore, self-improvement, as valuable as it is, leaves ones world very small. It puts the emphasis purely on self and finds each difficulty, relational conflict, traumatic event, is only about self. Christianity offers something far more robust. Within a Christian redemptive suffering framework we find that suffering does two key things: (1) communion with God, and (2) conformity to Christ. Let’s explore these two themes briefly. When we suffer we are drawn to look to the one who leads us, cares for us, supplies grace in trials, and carries us through trouble. In fact, Christ experienced weaknesses with us that we might be drawn to approach the throne of grace in our time of need (Heb. 4:15-16). Counseling that approaches suffering purely in the positivist sense, that focuses on self-improvement and confidence building will be counterproductive to true healing. It will lead people away from the source of their help and hope. Christian counseling will focus on suffering’s ability, not simply to build character, but to draw us closer to God. Suffering also helps us to look more like Christ. Paul, writing the Philippians, speaks of “sharing in the fellowship of Christ’s sufferings” (Phil. 3:10). If suffering has a refining and purging aspect to it, then, we are being reshaped and refashioned through trials. This has the ultimate goal of making us look more like Christ (Rom. 8:26-30). As the rough spots are rubbed out, and the dead branches are clipped off, we are being conformed to the image of the beloved Son. We share in His sufferings, then, as part of our spiritual growth (Rom. 8:17; 1 Peter 4:13). Redemptive suffering sees more to our hardship than merely character building. It sees a greater metaphysical goal which should encourage and strengthen us in the deepest of sorrows. Christians can respect the research of post-traumatic growth studies, and we can learn from it. Yet, we have something deeper which must overshadow any utilization of such research. We have a God who redeems suffering through His Son, and such sound theology can reshape how we approach all hardship and how we counsel those in it.